Learning how to withdraw from KiwiSaver for a first home – and the boxes to tick for a KiwiSaver HomeStart grant – may help you buy your first home. What is your work really worth? Our top options for comparing your salary to the industry average – and why you need to know. KiwiSaver is the retirement savings scheme in New Zealand. It was introduced by government initiative in July 2007. In the KiwiSaver Scheme, members build up their savings through regular contributions from their before-tax pay, from their employer, and from the Government. It is voluntary to join. It does not replace New Zealand Superannuation (NZ Super), so you can receive super payments and have a KiwiSaver fund at the same time. 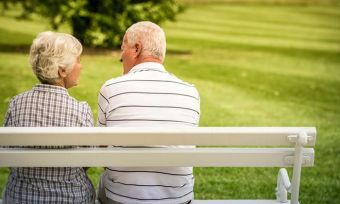 NZ Super is the government’s pension scheme available to most New Zealand residents over 65 years old, regardless of how much they earn or how many investments they have. KiwiSaver can also come in handy before you retire. You can access these savings when you buy your first home, or if you need the funds because you become seriously ill or suffer financial hardship. KiwiSaver savings build up over time. Contributions are paid to your KiwiSaver fund by you, your employer, and the government. These contributions are invested by your provider, in the scheme you have chosen. Investment returns go up and down over time. Money comes into and goes out of your fund. Withdrawals, fund account fees, and taxes come out of your fund. What’s left is your savings for retirement. Who can join or put money into KiwiSaver? Most New Zealanders under the age of 65 years are eligible to join KiwiSaver – even children! You can still join KiwiSaver if you are currently self-employed or not employed. KiwiSaver membership is voluntary. You are a New Zealand citizen, or entitled to live in New Zealand indefinitely. You are living, or normally living, in New Zealand. You are below the age of eligibility for NZ Super (currently 65 years old). Children under 16 years old may be enrolled in KiwiSaver by their parent/guardian. Children aged 16 years or older may enrol in KiwiSaver themselves if they have a parent/guardian co-sign with them. Children are not eligible for government contributions until they turn 18 years old. How much do you, your employer and the government put into KiwiSaver? You make contributions to your fund of contributions deducted from your gross before tax pay. You choose what rate to contribute – 3%, 4% or 8% of your before tax pay. You can also make additional contributions if you wish. If your business is run through a trust or a partnership, special rules apply about whether or not contributions are made out of your pay. Your employer matches these contributions, with a tax of 30% deducted from the amount of their contribution. The Government makes an annual contribution to your fund, as long as you have made a contribution during that financial year. This is called a member tax credit. If you contribute more than $1,043 to your KiwiSaver fund, the government will contribute a full tax credit of $521.43. If you contribute less than $1,043, the government pays 50 cents for every dollar you contributed. The Government only contributes member tax credits to adult KiwiSaver members aged 18 or older. Many providers we researched let you manage and request access to your KiwiSaver savings online or through apps on your phone. Most people become eligible to access the retirement savings in their KiwiSaver fund when they turn 65 years old, which is the age that you qualify for NZ Super. If you join KiwiSaver after you turn 60, you have to wait a minimum of 5 years before you can access your savings. Buy your first home: Buy your first home or your first investment property (if you have been contributing for 3 years or more). You may also qualify for a KiwiSaver HomeStart grant. What types of KiwiSaver investments are there? Bonds and Income (low risk): 100% bonds (50% NZ bonds, plus a mix of overseas government and non-government bonds). This profile is suitable for someone saving for the deposit to buy their first home. Cash and Bonds / Defensive (low risk): Bank deposits and other fixed-interest investments, with 20% or less invested in growth assets such as shares and property. Conservative (low to medium risk): Mostly bank deposits and fixed-interest investments, with 30% shares and property. Balanced (medium risk): 50-60% evenly split between high risk investments such as shares and property and lower risk investments such as cash, bank deposits and fixed-interest investments. Growth (medium to high risk): 70-85% shares and property, with the remaining balance invested in bank deposits and fixed-interest investments. Aggressive (high risk): 90% or more shares. Investment profiles are often labelled by the percentage of high risk investments included in that option, e.g. SuperLife30, SuperLife60, SuperLife80, and SuperLife100. 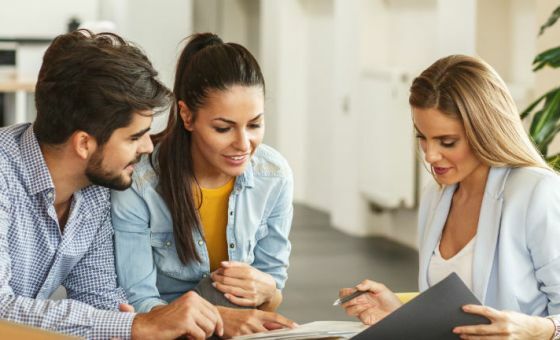 Determining what type of KiwiSaver investment is right for you will in part be determined by a saver’s risk tolerance, and the number of years until retirement. For example, someone who is about to retire doesn’t want his or her retirement fund suddenly dropping in value just before they need to make a withdrawal. On the other hand, short-term volatility may not worry someone who still has ten or twenty years in the workforce. KiwiSavers should seek professional advice when considering their fund choices. If choosing specific KiwiSaver investments sounds too complicated, you might consider a life stages fund, which is a KiwiSaver fund where your provider automatically adjusts your investment risk according to your age as you grow older. Not all scheme providers offer all types of investment mix, so as an investor, you should always check the options with your chosen provider. How do you join KiwiSaver? Automatic enrolment: If you’re not already a member, you’ll be automatically signed up for KiwiSaver when you start a new job. Opting in through a provider: You can choose a scheme provider and contact them directly to join up. Opting in through your employer: You can ask your current employer for an employee information pack and complete a KiwiSaver deduction form. How do you choose a KiwiSaver provider? KiwiSaver schemes are run by providers including banks and investment or superannuation companies. The government does not guarantee the success of any savings investment scheme, so you are responsible for the provider and investment options you choose. Each provider will have several different investment options or funds. Each fund has a different mix of assets that the scheme invests in on your behalf, such as fixed-interest bank deposits, bonds, shares and property. Returns: The whole point of KiwiSaver is to build your savings by giving you some return on your investment. But a provider’s past performance doesn’t guarantee its future performance, because the investment market goes up and down constantly. Look for a consistent, long-term return, with a few ‘riskier’ options added to the mix. When Canstar looks at the return from scheme providers, we review their performance over the past 5 years, and consistently under-performing schemes never receive higher than a 3-star rating. Fees: Minimising fees will maximise the balance of your fund. You should note that providers can charge fees as a dollar amount, or a percentage of your balance, and usually both. Investment options: Your investment expectations will change as you get older. When you’re in your twenties, you can afford to take on more risky investments to try for a higher return if that’s your choice. But when you’re in your fifties and looking forward to retirement, you may not want to risk the savings that you’ve built up. Look for flexibility to switch between funds or build your own personalised fund that suits your goals. Financial advice: Professional financial advice takes away the stress of planning for your future and helps you make wiser investment decisions to reach your goals. Some KiwiSaver providers offer free financial planning advice from AFAs, QFEs and RFAs. Educational tools: It can be hard to understand exactly how your scheme provider manages your fund. Look for a provider that offers educational information and tools to help you decide what to invest in. 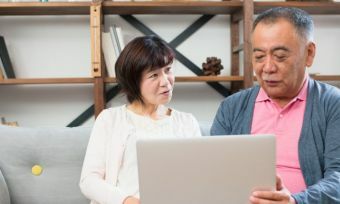 Online access and mobile apps: Some great providers offer online access and mobile apps that let you access up-to-date information about your investments and make changes to your investment profile. What might I end up with in KiwiSaver? The above figures show the big difference that small changes in annual return can make. Importantly, the calculations above are showing the calculated return net of fees; after fees are taken into account. Obviously your KiwiSaver fund, whichever one you choose, won’t achieve the same return year in, year out and the above figures shouldn’t be taken as a prediction of future returns, but it’s nevertheless a good example of the cumulative difference that changes in net return can have over time. What if I don’t choose my own KiwiSaver provider? If you don’t choose your own scheme provider, and your employer doesn’t have a preferred scheme provider, Inland Revenue will choose one for you from the 9 government-appointed default providers. Your contributions will be invested in the conservative investment fund option, with the scheme provider that the Government has allocated to you. You can check current KiwiSaver default funds here. Under 18s: You’ll need permission from your parent/guardian to join KiwiSaver. New job: If you’re not already a member, you’ll be automatically signed up for KiwiSaver when you start a new job. Going on your OE (Overseas Experience): While you are travelling overseas, you are still a KiwiSaver member, but you can’t access your benefits. Saving for your first home: you may be able to withdraw some of your KiwiSaver savings to buy or build your first home. Self-employed: You have to make contributions to stay a member, but you can agree to make very small contributions in a lump sum or in monthly or quarterly payments. The government will also pay a member tax credit to your fund. Not employed: You have to make contributions to stay a member, but you can agree to make very small contributions in a lump sum or in monthly or quarterly payments. The government will also pay a member tax credit to your fund. Already saving: If you’re already saving for retirement with a complying superannuation fund, your employer will only have to make contributions to either the complying fund or KiwiSaver. Nearing retirement: If you join before you turn 60, you can receive your benefits at 65. If you join after you’ve turned 60, you must wait 5 years before you can receive your benefits. What is the periodic disclosure statement? There is legislation forcing KiwiSaver providers to report to members about the return on their investments, fees, and investment asset allocation, in one simple and standardised form: the periodic disclosure statement. This statement helps you understand how different investments are performing, and to compare how much you could be earning with different providers. The statement is published online quarterly and annually, so you can find the statement for any provider fairly easily. They also publish spreadsheets containing this data, so analysts, like those at Canstar, can save you lots of hard work by making detailed comparisons between providers for you. Disclosure of fees charged to members, including annual fees, management fees, performance-based fees, etc. Fees and possible returns on KiwiSaver funds? What are the fees on KiwiSaver funds? There can be a huge difference between the minimum and maximum fees you could be paying, because you hold a fund and pay these fees for so many years. Source: Canstar, 2015 Star Ratings Report. Based on fees attached to products assessed for this star ratings report. Please note that these are a general explanation of the meaning of terms used in relation to KiwiSaver policies. Your KiwiSaver provider may use different wording and you should read the terms and conditions of your policy carefully to understand what benefits you will receive and what fees apply. Refer to the product disclosure statement from your provider. Administration fee: A fee charged to administer your fund. Aggressive: A high risk type of KiwiSaver fund with 90% or more of the balance consisting of shares or property, with the aim of achieving high returns over a long timeframe. Annual member fee: A yearly fee charged to your fund to be a member. Balanced: A medium risk type of KiwiSaver fund, with the balance evenly split between high risk investments such as shares and property and lower risk investments such as cash, bank deposits and fixed-interest investments. Benchmark asset allocation: The intended long-term allocation for each type of asset in a KiwiSaver fund, used to categorise funds into different profiles. For example, a cash fund usually has a benchmark asset of 80% or more invested in cash investments such as bank deposit and fixed-interest investments. Bonds and Income: A low risk type of KiwiSaver fund consisting of 100% bonds, with 50% NZ bonds, plus a mix of overseas government and non-government bonds. Capital: Your investment in a KiwiSaver scheme. Cash: Refers to low risk assets such as bank deposits or bank bills. 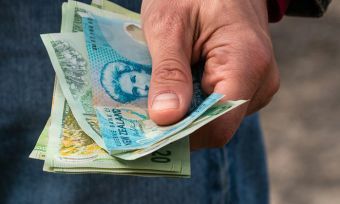 Cash and Bonds: A low risk type of KiwiSaver fund consisting of bank deposits and other fixed-interest investments, with 20% or less invested in growth assets such as shares and property. Also known as a defensive fund. Conservative: A low to medium risk type of KiwiSaver fund consisting mostly of bank deposits and fixed-interest investments, with around 30% shares and property. Contributions: The money paid by you, your employer, or the government into your KiwiSaver fund. Default scheme: The KiwiSaver scheme you will be enrolled in by the government if you do not choose a particular one for yourself. There are 9 default scheme providers, and all default schemes are conservative funds. Defensive: A low risk type of KiwiSaver fund consisting of bank deposits and other fixed-interest investments, with 20% or less invested in growth assets such as shares and property. Also known as a cash and bonds fund. Educational tools: Educational information and tools created by a KiwiSaver provider to help members and prospective members understand how the provider’s funds are managed. Equities: Shares, usually in a publicly-listed company. Expense fee: A fee charged to pay third-party costs such as brokerage and stamp duty. Fixed interest: Fixed-interest investments such as bank deposits or bonds that have a set maturity term of longer than 90 days, and give a return in the form of interest payments over the set period of time. Growth: A medium to high risk type of KiwiSaver fund consisting of 60-90% shares and property, with the remaining balance invested in bank deposits and fixed-interest investments. These investments have the potential for higher returns to grow your fund balance, hence the name, but they also carry higher risk. Home Start Grant: A government subsidy administered through Housing NZ, providing up to $10,000 paid over 5 years, available to KiwiSaver members who are buying or building their first home, or purchasing land to build a new home. Also known as the first home deposit subsidy. To get the first home deposit subsidy, your before tax household income must be under the income test threshold of $80,000 for one person or $120,000 for two or more people. Independent financial advice: Advice from a trusted, professional, financial advisor who is not employed by the KiwiSaver scheme provider you are considering joining. Obtaining independent financial advice is essential before you decide which KiwiSaver scheme to join. Investment: Money placed in an asset with the aim of getting a return (profit). KiwiSaver: The voluntary retirement savings scheme in New Zealand. Members build up their savings through regular contributions from their pay and from the government. Life stages fund: A KiwiSaver fund where your investment risk is automatically adjusted according to your age as you grow older. Management fee: A fee charged to manage the investments in your fund. Member tax credit: An annual contribution made by the government to your fund because you have made a contribution during that financial year. It is a type of government rebate. New Zealand Super (NZ Super): The government’s pension scheme, available to most New Zealand residents over 65 years old, regardless of how much they earn or how many investments they have. Online access and mobile apps: Online access and mobile applications created by your KiwiSaver provider to let you access information about your investments and make changes to your profile. Opting in: You can join KiwiSaver by choosing to ‘opt in’ in one of two ways. First, you can opt in through a KiwiSaver provider by choosing a scheme provider and contacting them directly. Secondly, you can opt in through your employer by asking your current employer for an employee information pack and completing a KiwiSaver deduction form. Periodic disclosure statement: A standardised statement KiwiSaver providers are required by law to provide to members and publish online quarterly and annually. The statement is required to include a description of the asset allocation of the fund, how the fund has performed in the past and average returns, disclosure of fees, what the fund invests in, key decision-making personnel, and contact details for the fund. PIE: Stands for portfolio investment entity. This means an investment such as a KiwiSaver scheme, as defined in the Income Tax Act 2007. PIR: Stands for your prescribed investor rate. This is the tax rate that you pay on your KiwiSaver PIE investment. Portfolio: A collection of investments such as property, shares, fixed-interest term deposits, etc. Provider: A company approved by the government to provide KiwiSaver schemes. Qualifying age: The date on which you qualify for NZ Superannuation (currently 65 years old) or, if you were older than 60 when you first joined a KiwiSaver scheme, then the date on which you’ve been a KiwiSaver member for at least 5 years. Returns: The ‘return on your investment’ is the profit or loss that your fund makes from investing your money. It is usually expressed as a percentage of the amount you invested, e.g. ‘a 7% return’. Risk: The amount of probability that an investment will fail and you’ll lose part or all of the money (capital) you invested. A higher return usually also brings a higher risk. Risk profile: Your personal perception of the level of risk in an asset. Different people have different risk profiles and will see different types of assets as being more or less risky. Scheme: A savings account product offered by a KiwiSaver provider. Tax rate: Members pay tax on the amounts in their KiwiSaver funds. This can be between 10.5% to 28% of your income, depending on your salary and income from investments. Trustee fee: A fee charged to pay the trustees who oversee the fund and provide associated services. Conservative, balanced or growth: Which KiwiSaver fund is best for you? How much money is procrastination costing you?